Fashion is not just about innovation. It’s also about revival. Designers habitually mine past styles for ideas that can be updated perennially. 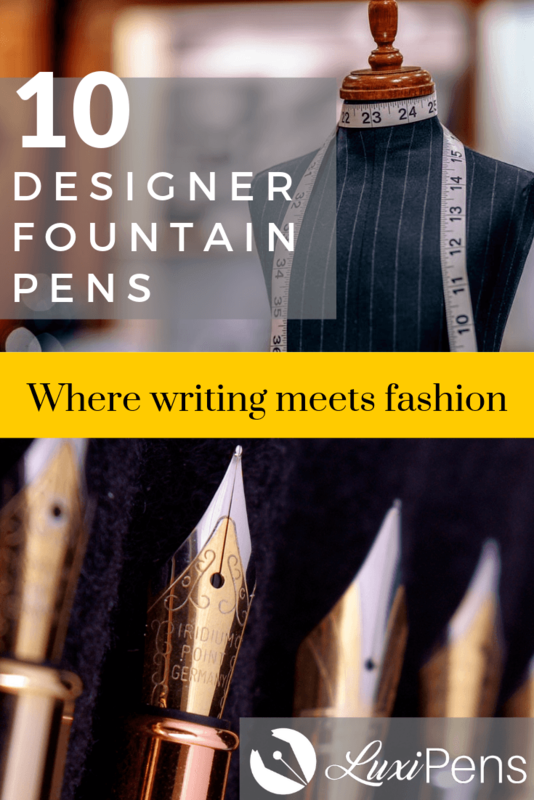 Keeping the practice alive, some of the world’s largest and best-known fashion houses have added luxury writing instruments to their roster. 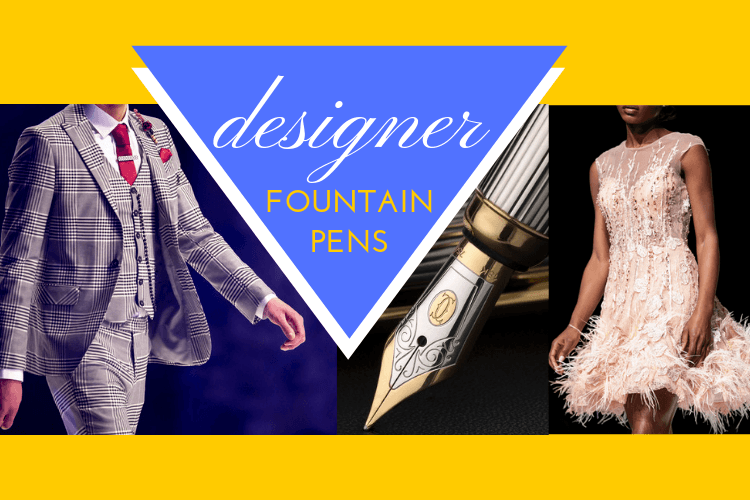 High-end fountain pens now bear brand names that are synonymous with haute couture. In their quest to produce the best luxury items on the market, many posh companies partner with established pen makers to create one of a kind pieces. 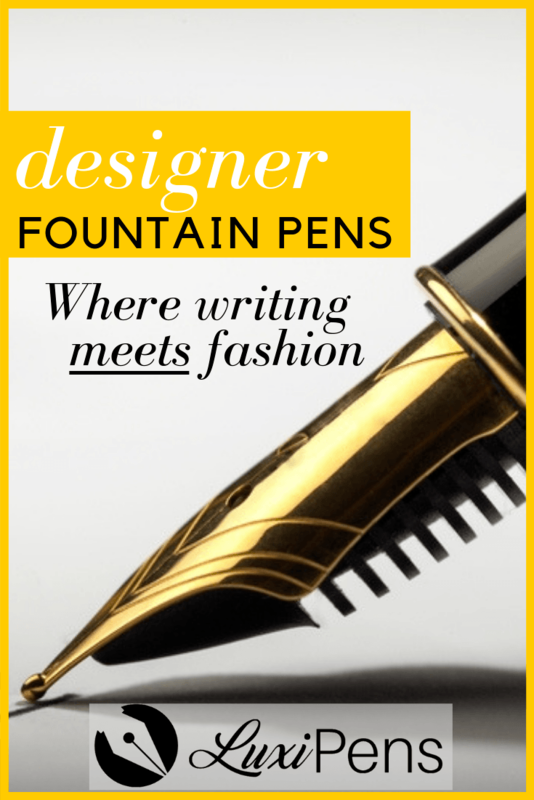 Below we’ve shared our list of designer fountain pens. 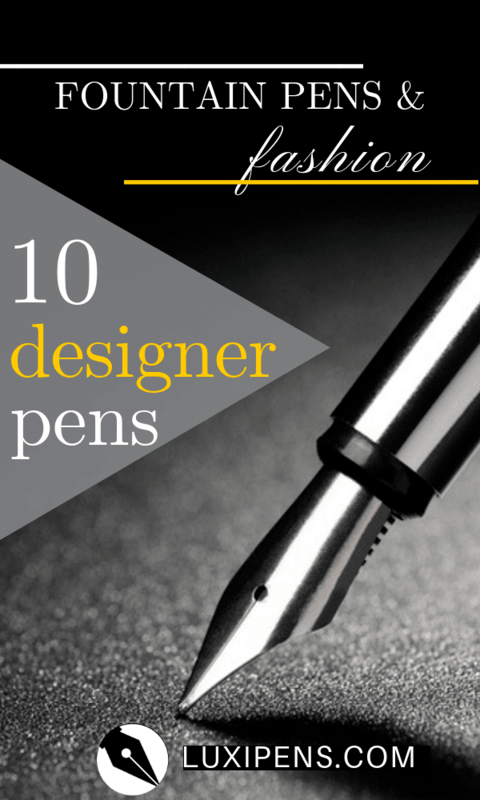 These are fashion-forward, superior writing instruments—that happen to be created by a high-end apparel brand. Founder Louis Vuitton began learning his craft in France. Starting at the age of 16, he apprenticed with a Parisian trunk maker. It was under his tutelage and training that Vuitton learned how to create containers and luggage that would endure rough treatment during transport. His intricate and attentive assembling process is still practiced today in their historical Asnières workshop. Vuitton later expanded into leather goods on the international market and founded his own company in 1854. Originally celebrated for its luggage and purses, the French fashion house turned to clothing design in 1997 under the creative direction of renowned American fashion designer Marc Jacobs. As of December 2018, Louis Vuitton is the 15th most valuable brand in the world as designated by Forbes magazine. At $33.6 billion dollars, it has the highest net worth of all the great international fashion houses. Louis Vuitton branched out into fountain pens and other luxury stationery goods in 2012. The brand has partnered with S.T. Dupont to manufacture several lines of pens with proprietary filling systems. To maintain exclusivity, their writing instruments are only sold from select retail outlets or online stores. Louis Vuitton currently offers four pen models, most of which are available in rollerball, ballpoint, and fountain. The first of these is the Cargo, a stout and solid piston-filler that is made for formal (and perhaps even ceremonial) written endorsements. Although designed to be an impressive statement piece, pen lovers say it stands up well to everyday use. The Cargo is available in a Graphite (black), Glacier (navy), or Ebene (brown) lacquer body. If you’re looking for something a little more grandiose, the Cargo comes in an exotic alligator leather barrel, too. Combining a classic cigar-shaped barrel with excellent stability and control, the Cargo sits well in hand. However, it is heavier than most pens. The addition of alligator leather wrap only increases its magnitude. The Cargo best suits those with larger hands. The Carte du Tendre is Louis Vuitton’s delicate and feminine counterpart to the Cargo. This pen is available in both red and violet, featuring a circular pattern on the lacquered barrel. It’s the thinnest and lightest of the Louis Vuitton creations. Just as the Cargo is too large and heavy for some hands, the Carte Du Tendre may be too slim and light for others. For those who prefer a pen with a metallic finish, the Spirit comes in both gold and palladium with similar nibs. This pen’s weight falls in between the Cargo and the Carte du Tendre—a fit for the average-sized hand. The Spirit’s body is shrouded in a guilloché pattern, providing added texture. This pen is so exceptional, it even has its own patent. The Grand Tour rounds out this luxury pen line with a subtle checkered pattern. Available in Graphite (black) or Ebene (brown), this pen’s body is very similar to the Spirit. In terms of weight and size, the Grand Tour falls between the Cargo and the Carte du Tendre. Note: All Louis Vuitton pens require proprietary cartridges. If a converter is needed, it must be purchased separately. A chart comparing the sizes of Louis Vuitton's pens. Opening shop in 1837, Parisian Thierry Hermès got his start in saddlery and bridle design for horses. From there, the next natural step was designing leather goods for humans. Hermès had an edge over the competition, thanks to a family connection. His son Émile-Maurice was the first to introduce the zipper to France. 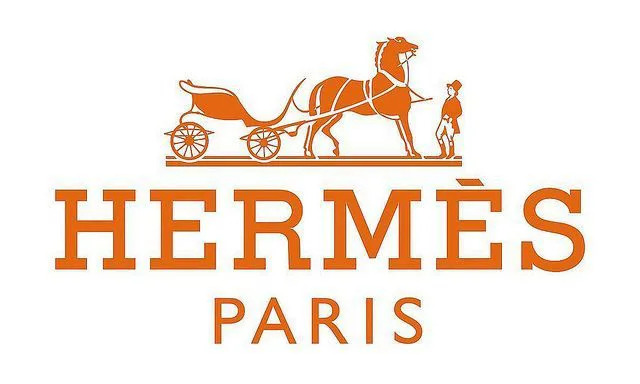 Having obtained exclusive rights to sell the fastening device, this element quickly became part of Hermès products. The company took off in the 1930s, producing posh bags, watches, and scarves—including a purse favored by Grace Kelly. Later known as the “Kelly bag,” this purse was used to hide her pregnancy from photographers. After a short decline in sales in the 1970s, Hermès was revamped and added new products. The “Birkin bag,” named for actress Jane Birkin, was designed in 1983 and is still synonymous with wealth and opulence. Despite Hermès’ substantial growth, most of their products are still handmade in France. Hermès only entered the fine writing industry in 2014, but its flagship offering shows how serious they are about high-quality luxury items. For its grand entrance into the pen enterprise, the company hired Australian industrial designer Marc Lawson and commissioned Pilot Corporation to manufacture it. Hermès’ creation is the Nautilus, a pen that is sui generis. Imagine “the fountain pen of the future.” Capless and retractable, it has no outward features that reveal its purpose or intended use: writing. With only a slight twist of the pen’s top, an interior mechanism unveils a once chambered nib. The Nautilus comes in three colors (black, red, and silver) and six nib tipping sizes. A rollerball model is also available. With its uncommon flat design, the Nautilus won’t roll off a desk. In the hand, it is solid, but not heavy or bulky. Through the use of a rounded triangle grip, this pen is easy to handle across the page. The Hermès name is discreetly stamped on the silver underbelly. However, it still retains the cachet of a Hermès piece. The downsides to this pen are largely a matter of personal preference. Some might fancy their fountain pens to look like writing implements, rather than tiny spaceships. However you feel about its aesthetics, the care and design that went into this pen ensures that it’s more than just a novelty. Hermès hasn’t debuted any other pens (yet), but branded pencils, stationery, and notebooks are available. The Burberry company, best known for its emblematic tartan pattern, was established in 1856 by Thomas Burberry. Originally, the company was a manufacturer of outerwear, like trench coats. Now it has branched into clothing for men, women, and children, as well as shoes and fragrances. Burberry is a true English brand, headquartered in London since 1891. 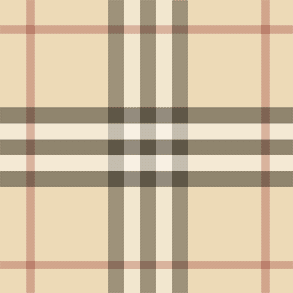 In recent decades, Burberry licensed their trademark tartan design. However, the value of the brand began to plummet because of tawdry associations. The pattern briefly became tied to hooligan football (soccer) culture in the UK, being seen as an emblem of a rowdy, boorish lifestyle. The company managed to restore its reputation in 2006 by reclaiming its licensing and limiting the availability of products sold with the trademark pattern. 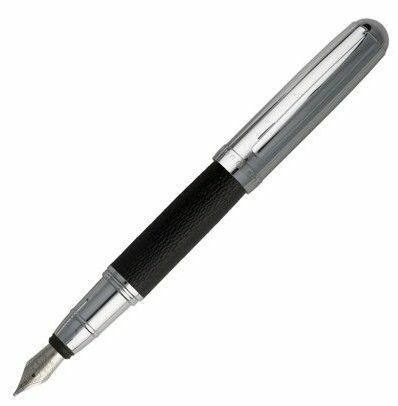 For a time, Burberry designed fountain pens that were manufactured by Japanese company, Pentel. While no longer in production, they can be found on auction sites. With so many other fashion houses currently making pens, it’s entirely possible that Burberry will revive their writing instrument line in the very near future. 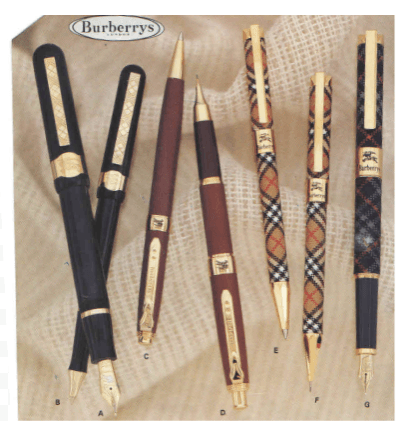 In 1996, Burberry offered three different styles of writing products, all of which were available as fountain pens. First, the Wessex Collection was sold with the tagline “British design, Italian craftsmanship” and marketed on simplicity and elegance. Wessex pens are black with gold finishings, including a clip stamped with the impression of their tartan pattern. Four different tipping sizes were offered with an 18-carat gold nib. The Wessex Collection includes ballpoint and rollerball designs as well. Presenting a slimmer pen, the Windsor Collection is beige with a leather-like finish. The feel of saddle material evokes Burberry’s equestrian roots. It offers gold trim and the clip is stamped with the Burberry name. A miniature cut-out of the brand’s former polo-playing logo adorns a ring at the base of the cap. The Windsor Collection is also available in ballpoint and mechanical pencil. Finally, the Check Collection is an unmistakable Burberry product. Wrapping the barrel of the pen is the characteristic tartan pattern in either traditional tan or elegant navy. The Check Collection fountain pen model is available with a broad or fine nib in 14-carat gold. Between the tartan and logo, there’s no doubt who crafted this pen. Cartier was founded in Paris in 1847 by Louis-Francois Cartier. However, it wasn’t until his grandsons took over the business in the early 20th century that the company catapulted to worldwide fame. Cartier is known for elegant jewelry and innovations in the watchmaking industry. Their products are the choice of royalty, including Kate Middleton, the Duchess of Cambridge. As of December 2018, Forbes listed Cartier as the world’s 59th most valuable brand. This fashion house has been making writing instruments since its inception, with some pens donning just as many gemstones as their jewelry lines. In 2001, Cartier ranked as the second largest producer of luxury writing instruments in the world. This design house puts the same level of precision and detail into their pens as they do their watches and jewelry. Cartier has been producing fine fountain pens for over a century, therefore yielding too many styles to comprehensively list. However, we will highlight just a few of the most popular, easiest to find, and iconic styles. The first is The Cartier Fountain Pen Watch, which embodies both of the company’s well-reputed crafts—watchmaking and pen design—into one writing instrument. The top of the cap is crowned with a small, wind-up clock. Although this addition increases the weight, it is still well-balanced in hand. This pen/timepiece was produced in 2001 with a limited set of 2000, making it an exclusive buy in online marketplaces. Buy your own Cartier Pasha rollerball pen here! An only slightly more accessible (but nonetheless stylish) Cartier pen is the Pasha. First produced in the 1980s, this line has since undergone some modernization over the years. Original Pashas had a metallic finish with vertical grooves down the length of the pen and cap. Later they were made with a more standard lacquered barrel. All of the Pasha pens flaunt a sapphire cabochon (a rounded, polished gemstone) on the finial. They are fine pens with small nibs that give greater control while writing. Another very popular design is the classic, yet understated Diabolo. Displaying a solid black composite barrel and finished in either yellow gold or palladium, this is a reliable pen for daily use. The nib may feel stiff, but writing is nearly effortless. The only caveat is the pen’s sizeable girth, which befits larger hands. It is also available in ballpoint or rollerball. Get your own Cartier Diabolo fountain pen! 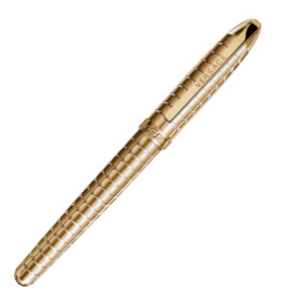 Get your own Cartier Diabolo ballpoint! Purchasing designer fountain pens often means paying a premium for the brand name. However, looking at the higher end of Cartier pens, some prices are truly exorbitant—even for luxury brands. Any of the instruments labeled as Exceptional Pens are often sold in extremely limited series and cost tens of thousands of dollars. 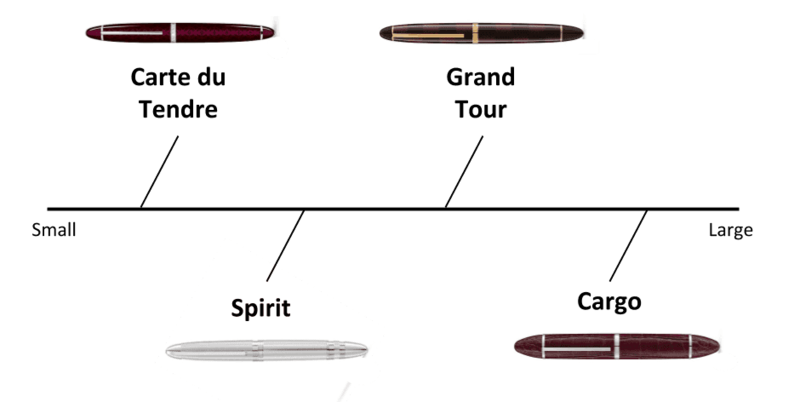 One such pen is the Panthère fountain pen, with only fifty models available. This sterling silver bodied pen is completed with a panther cap in black palladium-finish and jade cabochon. 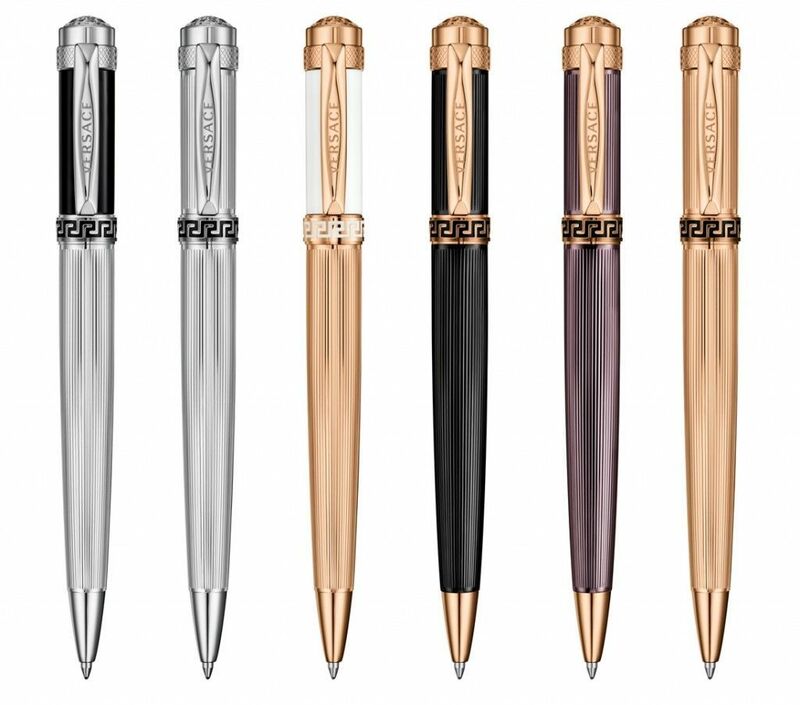 If you’re in the market for an even more elusive pen, Cartier has you covered. Only five Tiger Dècor pens are in existence. This instrument/art piece is a solid 18-carat gold tiger inlaid with 403 diamonds and a hefty price tag. Don’t worry—Cartier is even generous enough to throw in a converter for free! Compared to its European counterparts, Coach is a relative newcomer to the fashion scene. Founded in New York in 1941, the company originally produced leather wallets and billfolds. Co-founder Lillian Cahn introduced her husband’s newly-invented method of processing and dying leather, which is how they now make their soft yet sturdy handbags. In 1985, new ownership turned the company into a worldwide brand, quintupling sales in just four years. In addition to purses, Coach now also produces luggage, briefcases, shoes, and a wide variety of accessories. As of 2018, they have only produced specialty-branded promotional fountain pens. Unlike other designers on our list, Coach fountain pens appear to be solely ‘gift with purchase’ items rather than directly sold by the company. 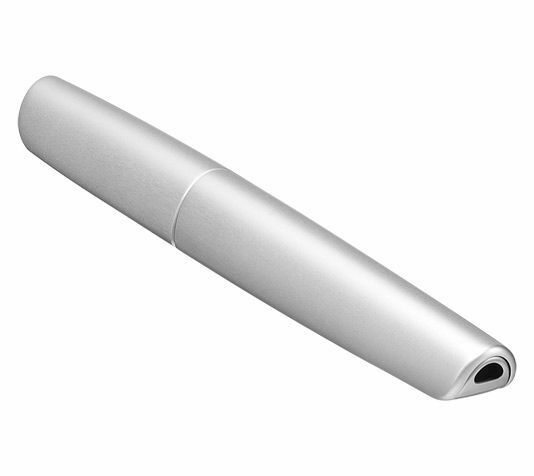 They represent an upgrade to traditional and inexpensive promotional ballpoints. Both of the following pens were included with subscriptions to the Japanese fashion magazine Mono Max. First, the monogrammed pen is what you might expect from a Coach product. It features a brown, embossed finish. The barrel is stamped with the classic “C” pattern, similar to many of their handbags. There is also a brightly-colored two-pen set that includes a green ballpoint and a blue fountain pen. Both have the Coach logo of a horse-drawn carriage. These instruments have never been for sale in the US. However, savvy collectors may be able to track them down. The story goes that a young Guccio Gucci was mightily impressed by the high-quality luggage he saw on his European travels. Upon return to his Italian home, he was inspired to open his own leather goods store. The Gucci brand was born in 1921. In the 1950s and 60s, it was fashionable for elite travelers—including movie stars—to buy Gucci products while visiting Florence. This introduced the company name to all corners of the world. Family disputes—one of which resulted in a fatality—nearly brought the fashion house down in the 1990s. 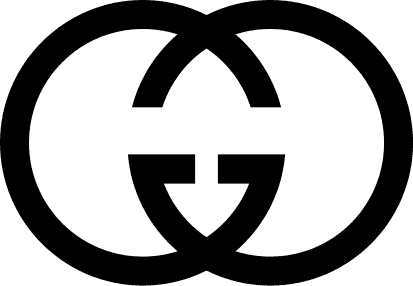 In an effort to save the company, former Bergdorf president Dawn Mello was appointed as Gucci's product development director. Soon their fortune turned around, ensuring that Gucci would continue to be a major icon in the fashion industry. As of December 2018, it’s the 36th most valuable brand in the world according to Forbes magazine. 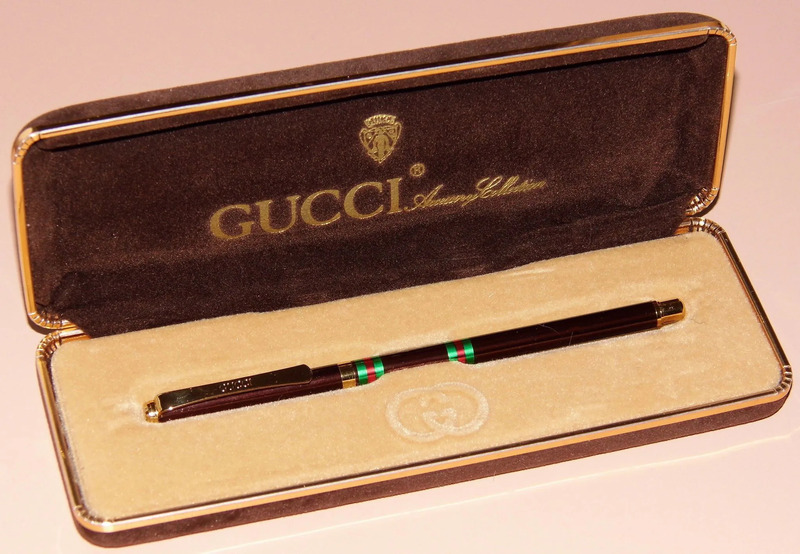 Since Gucci has designed so many wonderful fountain pens from previous decades, there’s always hope that the brand may once again restore their boutique pen division and produce new luxury models. While the Gucci company was underway in Italy, another contemporary designer, Hugo Boss, was starting up a clothing factory in Germany in 1924. It’s no secret that this young company manufactured uniforms for the Nazi Party. Boss’s own political affiliations led to him being formally stripped of his ability to run a business in Germany in 1946. However, the company continued without him, and in 2011—65 years later—Hugo Boss finally issued a statement of “profound regret” for its part in the Nazi war effort. After the war, Boss’s son-in-law turned from manufacturing shirts, sportswear, and raincoats to focus on men’s suits. In subsequent decades, the brand crossed into other industries, branching into fragrances, sunglasses, and footwear. Pens are a very recent addition to their product offering as of 2016, and the label has already released a variety of designs. Hugo Boss has instruments available in rollerball, ballpoint, and fountain pen. The first of these is the Caption with a classic aesthetic. Made of a brass barrel and covered with soft-touch black rubber, this is a unpretentious pen for the enterprising individual. The finish is polished chrome-plating, with an engraved logo around the cap’s clip ring taking a more subtle approach to branding. The Caption comes in rollerball and ballpoint. Purchase your Hugo Boss Caption rollerball and ballpoint set here! Though Hugo Boss has only been in the pen game for two years, they already have a substantial back catalog of designs. The Advance features a black leather-encased barrel, of course, with a reflective chrome cap that posts securely. There is a ridge around the neck of the pen to keep the cap on when closed, but this can be bothersome when writing. The Advance is available in ballpoint, rollerball, and fountain pen. Own the Hugo Boss Caption ballpoint! 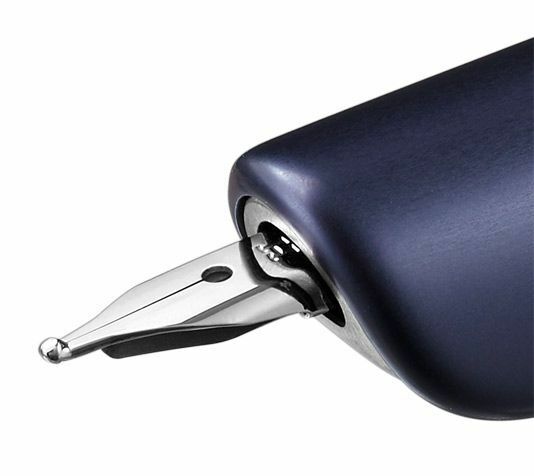 For a bolder look, the Pure pen employs a curved design. The body of this pen is constructed from brass with a chrome-polished detail. Covering the barrel is soft-grain leather, which not only looks spectacular, but delivers a rugged aroma, too. A Hugo Boss logo is embossed on the pen’s center ring. The Pure is a bit top heavy when posted, but it’s perfectly balanced without the cap. Get your own Hugo Boss Pure rollerball pen! Get your own Hugo Boss Pure ballpoint pen! The Armani fashion house is even younger than Coach, being founded in 1975. To this day it is still under the leadership of founder Giorgio Armani. His most notable piece is the jacket, which he claims to have reinvented for women’s wear. Over the years, he had drawn inspiration from androgyny, Japanese culture, and the color blue—a diverse range of sources that are reflected in this company’s apparel. The Armani name spans across multiple brands including Giorgio Armani (high-end ready-to-wear), Emporio Armani (ready-to-wear and runway collections), and Armani Exchange (youthful and urban styles). The company also runs a number of cafés and partners with international luxury hotels. While none of the Armani brands currently sell pens, they have in the past. In 2008, Armani introduced a limited line of only 199 pens called the Regal Collection. Exclusivity was a prerequisite regarding this series because each pen was hand-turned in the workshop of Italian pen manufacturer Tibaldi. A ripple design is beneath the cap and body’s translucent enamel. The finish is gunmetal silver, stamped with the Armani logo. For something a little less posh but no less elegant, the Montenapoleone Collection features a sleek, bullet-like design when capped. It comes in green, red, white, or black resin with gold or silver finishings. The outside surface of the pen looks and feels extraordinarily smooth. Last year marked only the 40th anniversary of the Versace fashion house, founded by Gianni Versace in 1978. He listed Greek mythology as one of his primary inspirations and chose the image of Medusa for a logo, a forethought that was undoubtedly presage. 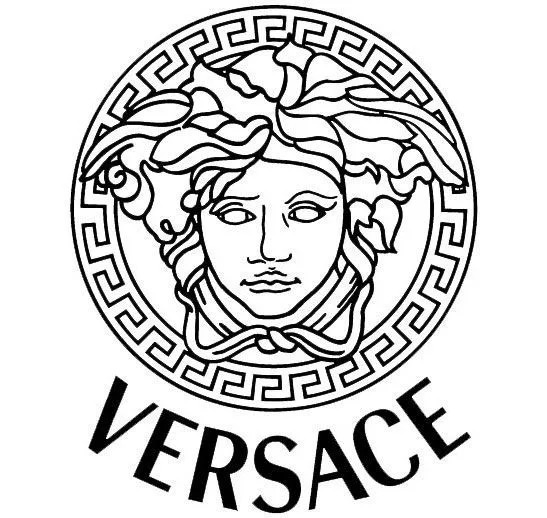 In the 1990s, the brand was in the news for the assassination of Gianni Versace, dramatized in the second season of the television show American Crime Story. After Gianni’s death, his younger sister Donatella took over as chief designer, but recently sold to the Michael Kors company. Versace as a brand is known for favoring bright colors and overt sexuality. The famous (or infamous) dress Jennifer Lopez wore to the 42nd Grammy Awards in the year 2000—bright green with a neckline plunging below the navel—is a perfect example of the Versace’s style. They have brought the same theatrical pageantry to some of their fountain pen designs as well. For its Versace by OMAS design, the fashion house partnered with Italian pen maker OMAS. Though OMAS went through liquidation two years ago, Ancora 1919 announced in June 2018 that it would resurrect the brand. This is excellent news for luxury pen seekers who wish to view the company’s craftsmanship in collaboration with Versace. These brightly-colored resin pens come with a 23-carat gold cap—in crocodile print, if you wish—with the Medusa logo stamped on the finial. For a fountain pen currently sold by Versace, the Greca, has an undeniable muted look (though some would say this design choice is very uncharacteristic of the brand). The gold-toned cap is engraved with an elegant geometric pattern and stands out against the polished black body of the pen. The Medusa logo also appears here, but in relief on the finial. With a little more glamour, the Olympia collection will certainly catch your eye. A yellow gold-plated or stainless steel body is wrapped in engraved stripes. Greca engraving is near the section as well as the pen’s clip. The trademark Medusa logo is also in relief on the finial, clearly declaring this instrument as a Versace piece. Own the Versace Olympia rollerball pen in yellow gold-plating! Get your own Versace Olympia rollerball pen in stainless steel! With its austere and elegant presence, Versace offers the Vanitas pen. A grid pattern lays across its gold-plated brass cap and barrel, with the designer's name along the clip. Surrounding the base of the cap is the repeated meander motif, commonly found in Greek and Roman art. Own the Versace Vanitas ballpoint pen! Presenting an striking silhouette, the Astrea ballpoint defines Versace design. Along the slender barrel runs engraved lines, drawing the eye to the perfected pen tip. Where the twist-action cap meets the barrel, Greek meander lines can be found. Branding for this designer is present with the clip's "Versace" engraving as well as the Medusa logo in relief on the finial. This pen is offered in silver with black, silver, gold with white, black, brown, and gold. Own the Versace Astrea ballpoint pen! 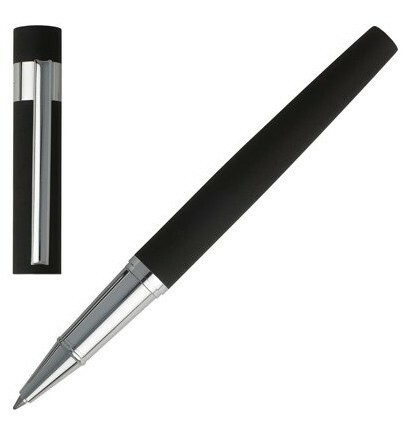 For a more reserved (but no less elegant) design, the Logos ballpoint pen is another writing instrument from Versace. A chevron pattern is featured on the black barrel, perfectly complemented with simple gold furnishings. The finial is adorned with the signature Medusa logo, and the fashion designer is etched into the pen's clip. Own the Versace Logos ballpoint pen! When it comes to the world’s major fashion houses, each has a different approach to fountain pen design and creation. For Cartier, pens have been an integral part of the brand since the beginning. Hermès uses them as a big-ticket item that requires a major launch campaign. At Versace, they seem to be a curio released only on occasion. Regardless, fountain pens continue to surge in popularity. As they do, it’s likely that luxury fashion brands will to continue to capitalize on the trend infusing both innovative and modern designs. For more luxury pens, check out our encyclopedic list of luxury pen brands. Adams, Ariel. “Kate Middleton Wears Cartier Ballon Bleu Watch.” Forbes, Forbes Magazine, 29 Aug. 2014, www.forbes.com/sites/arieladams/2014/04/24/kate-middleton-cartier-ballon-bleu-watch/#391b69ce2dff. “Burberry Pen Set.” Invaluable, www.invaluable.com/auction-lot/burberry-a-burberrys-pen-set-comprising-a-burber-349-c-b24436f948. “Cartier Creative Writing.” Amazon, 3 July 2001, www.amazon.com/Cartier-Creative-Writing-Francois-Chaille/dp/2080136836. “Cartier on the Forbes World's Most Valuable Brands List.” Forbes, Forbes Magazine, www.forbes.com/companies/cartier/. CNBC. “Louis Vuitton to Sell Luxury Paper and Pens.” CNBC, CNBC, 11 Nov. 2012, www.cnbc.com/id/100131310. “Coach, Inc.” History of Franklin Covey Company – FundingUniverse, www.fundinguniverse.com/company-histories/coach-inc-history/. “Coach Pen Set.” Airfrov , www.airfrov.com/pre-orders/1J4621-Lifestyle-Gadgets-Coach-fountain-and-ballpoint-pen-set. Farnetani, Alessio. “The History of Hermes.” LinkedIn, 15 Sept. 2015, www.linkedin.com/pulse/history-hermes-alessio-farnetani/. “Giorgio Armani.” Vogue.it, Vogue, www.vogue.it/en/news/encyclo/designers/a/giorgio-armani. “Giorgio Armani Pens.” LUXUO, 16 Jan. 2017, www.luxuo.com/the-lux-list/collectibles/giorgio-armani-pens.html. “Gucci on the Forbes Best Employers for New Grads List.” Forbes, Forbes Magazine, www.forbes.com/companies/gucci/. “Handcrafted in Italy Since 1925.” OMAS, www.omas.com/. “Hermès Puts Pen To Paper With The Nautilus.” Quill & Pad, 6 Mar. 2018, quillandpad.com/2014/11/05/hermes-puts-pen-to-paper-with-the-nautilus/. “History.” History - Burberry, www.burberryplc.com/en/company/history.html. “History of Hermès.” History of Fashion, 31 Aug. 2013, www.fashionintime.org/hermes/. “History of Versace.” History of Fashion, 31 Aug. 2013, www.fashionintime.org/history-of-versace/. Horyn, Cathy. “Tom Ford Goes Out With a Roar.” The New York Times, 26 Feb. 2004, www.nytimes.com/2004/02/26/nyregion/tom-ford-goes-out-with-a-roar.html. “Hugo Boss Regret for Holocaust.” Thejc.com, www.thejc.com/news/world/hugo-boss-regret-for-holocaust-record-1.27815. Lreiley. “Promotional Fountain Pens Nowadays? - Fountain & Dip Pens - First Stop.” The Fountain Pen Network, 22 Jan. 2013, www.fountainpennetwork.com/forum/topic/238185-promotional-fountain-pens-nowadays/. Maktoob0303. “Real 146? P.s. Burberry Fountain Pen? - Montblanc.” The Fountain Pen Network, 20 June 2016, www.fountainpennetwork.com/forum/topic/309933-real-146-ps-burberry-fountain-pen/. Maxim. “Hermes Nautilus Review - Fountain Pen Reviews.” The Fountain Pen Network, 29 July 2016, www.fountainpennetwork.com/forum/topic/311384-hermes-nautilus-review/. Mun-Delsalle, Y-Jean. “Hermès Launches The Nautilus Pen Designed By Marc Newson As The Centerpiece Of Its First-Ever Complete Writing Collection.” Forbes, Forbes Magazine, 25 Nov. 2014, www.forbes.com/sites/yjeanmundelsalle/2014/11/25/hermes-launches-the-nautilus-pen-designed-by-marc-newson-as-the-centerpiece-of-its-first-ever-complete-writing-collection/#4b2515192556. Reuters. “Dupont to Make Pens for Louis Vuitton.” AsiaOne, news.asiaone.com/News/Latest+News/Plush/Story/A1Story20121121-384972.html. Roller. “What Is Your Opinion Of Cartier Pens? 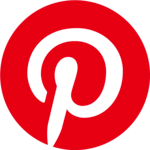 - Other Brands - Europe.” The Fountain Pen Network, 29 Mar. 2011, www.fountainpennetwork.com/forum/topic/190966-what-is-your-opinion-of-cartier-pens/. “The Quest For My Ultimate Fountain Pen Part 3: The Luxury Brand Period.” Quill & Pad, 6 Mar. 2018, quillandpad.com/2017/02/04/quest-ultimate-fountain-pen-part-3-luxury-brand-period/. “Timeline: Burberry.” Nicola Melhuish, 28 Mar. 2013, nicolamelhuish.wordpress.com/2010/11/02/timeline-burberry/. Uniqueorn. “Valuation Of Outsized Gucci Pen Please? - Fountain & Dip Pens - First Stop.” The Fountain Pen Network, 9 Dec. 2013, www.fountainpennetwork.com/forum/topic/257283-valuation-of-outsized-gucci-pen-please/. “Versace Vanitas Pen // VS1070015.” Touch of Modern, www.touchofmodern.com/sales/versace-pens-16e04fe8-faa6-46a8-b038-3c1c0fe9597f/versace-vanitas-pen-vs1070015. Vuitton, Louis. “A Legendary History.” Louis Vuitton, us.louisvuitton.com/eng-us/la-maison/a-legendary-history#. Vuitton, Louis. “WRITING.” Louis Vuitton, us.louisvuitton.com/eng-us/women/books-writing/writing/writing-instruments/_/N-ed1jmjZ1k3334c/to-4.